I have previously said that writing involves a lot of thinking, and I add, especially when it comes to technical and academic writing that require specific formatting and structure, or writing to publish. From the starting point where you come up with an idea for an article, book, magazine or other publication, you have to think about what you want to write and how to write it. Once you gather all your thoughts on the subject matter and jot them down, you have to decide which ones are relevant for your piece and which ones will be discarded or kept for another time. These ideas may have come spontaneously at the time you decide to write or when you are given an assignment. Sometimes, though, they have been collected over a period of time through observation, listening, reading, asking questions, investigating, interviews, browsing the net, or just simply THINKING. It is said that writing is a process that involves planning, writing the first draft, revising, proofreading & editing, and publishing or sharing. Although thinking goes on throughout the process, it is most demanding at the planning stage. The bulk of the work of writing lies in planning and writing the first draft. To help your thinking, always have with you a small notebook or pad where you can jot everything that comes to mind; absolutely everything! Never underestimate the power of seemingly silly ideas that pop up in the most unlikely places, like when going up the lift, waiting for a bus or feeding the baby. The nature of our minds is such that the subconscious is active throughout unlike the conscious side which shuts down when we are asleep. I remember a time when I would write a lot of poems smack in the middle of the night! I would wake up sometime between 2am and 4am and suddenly words would stream into my thoughts prompting me to grab the pen and notebook I usually keep on a stool beside my bed. Once you feel there are enough thoughts written in your notebook, find some time to go through them in a quiet place where there’s no interruption. You can use a highlighter to mark those you feel can be used in your writing, or simply cancel out with pen the ones you feel should be discarded. Sometimes the ‘silly’ ideas are simply stepping stones that lead us to more viable ones that make sense. As you do these exercise, you will be doing a lot of thinking, weighing this and that idea, asking yourself questions, etc. (a) Improves your stock of vocabulary and richness of expression: Although the use of big words in writing other than for academic purposes is not usually encouraged (simple language tends to be more favorable for the average reader), knowing a few additional words and how to use them may just provide that extra punch to your writing. The idea is not really to borrow other people’s expressions, but to open your eyes to new possibilities and more creativity. (b) Inspiration: One man’s verse could be another man’s chapter or paragraph. Some of the best poems I have written were inspired by reading the works of other poets. Don’t ever be deceived that your writing talent is the best; there are other writers out there who have the very gems you are looking for to beautify your own writing. Sometimes a poem can be the inspiration for a short story, or a short story can inspire the script for a film. Inspiration is a valuable asset that every writer needs to have, especially in creative writing. (c) Creativity: Reading widely unlocks ideas that you may not even have been aware of. As you read, new thoughts are being processed in your mind and while some are immediately discarded, others are unconsciously filed away in your memory. These come in handy when you sit down to write your own works. Creativity is the other major asset that writers must have, so don’t be averse to reading on different subjects even if it is something unrelated to your own writing field. You never know where your next new idea might spring from! 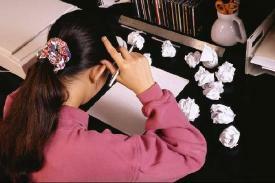 (d) Improves thinking capacity: Do you know that thinking is a vital part of the writing process? It seems such a simple thing, but many writers just starting out tend to miss the connection. If you do not like doing a lot of thinking then you are not likely to become a good writer. Thinking is an ability that is developed over your lifetime, but its depth of development can be increased with regular reading of different literature, including magazines, newspapers, and journals. Good writers are numerous and easy to find. They are often found working very hard, mostly overtime, to produce documents, stories, news items, posts, blogs, and various other works. They invest a lot of time and other resources to be as productive as possible and earn a decent living. However, when one starts out to be a writer the aim should not be to just remain good. I believe that progress in any field makes sense out of what we are doing, rather than just maintaining status quo day in day out. What we have conquered today is great victory but may not be relevant any more in tomorrow’s battle. We must always aim higher. One of the key ingredients for becoming a better writer is to develop a habit of reading often. Reading is a culture that most people find hard to adopt, especially with the busy lifestyles that leave very little room for leisure activities. However, if you really want to become a good writer in any field, reading must become your companion in life. Try to read other people’s works, especially well-known writers in your field of writing, and set this as a personal goal. For instance, you could make it your goal to read at least one book every month, and then find a way of monitoring yourself to ensure you are actually doing it. Remember that starting a new habit is never easy, so talk to a friend or family member to ask you every once in a while whether you are doing this.